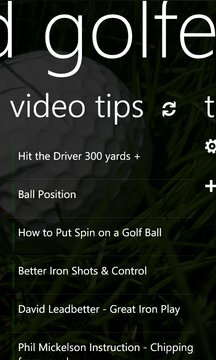 Golf is a golf score card app for Windows Phone 7. The app is focused around keeping your score and tracking your stats over a period of time. In addition, stay up to date with Golf News, Equipment, and even watch Golf Training Videos. • Save Score Card to the web. • Email Score Cards to your friends at the end of the round. • Share your Score Cards on Facebook and Twitter. 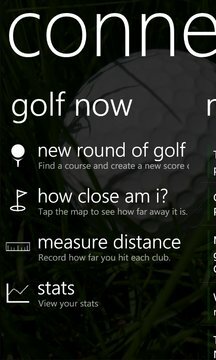 • Distance Tracker - Messure how far you hit each club. • Track your stats over time. • Golf course database with over 17,000 courses.